See reports of our special events here: Saturday Seminars, Out and About excursions, and Talks. To stop the slider, move the cursor over the report item you want to read. In 2010 the Catholic Church publicly recognised Mary MacKillop as our first Australian saint. 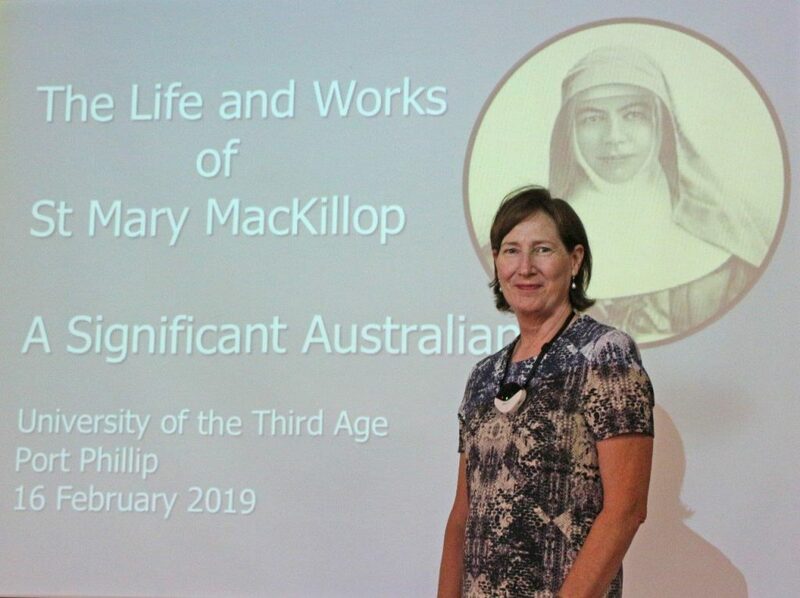 Mary MacKillop lived a life of service. She was a woman of action. 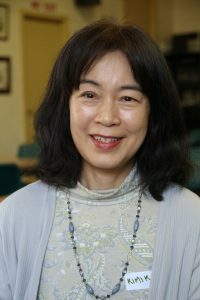 She accomplished this in the companionship of her God and her fellow Sisters of St Joseph. With God and the Sisters of St Joseph at her side she cared for the poor, the orphans, the uneducated, the homeless, the unemployed, the aged and unmarried mothers and their babies. She worked tirelessly for the most marginalized – those that are often forgotten. 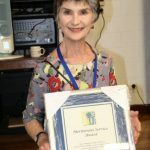 Mary accomplished these acts in a very Australian way and in doing so Mary’s service was not without obstacles. 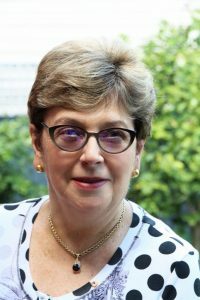 She was excommunicated, expelled from the Adelaide diocese and forced to withdraw her Sisters from both Bathurst and Queensland diocese. 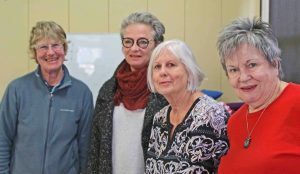 This presentation seeks to share Mary MacKillop’s story. 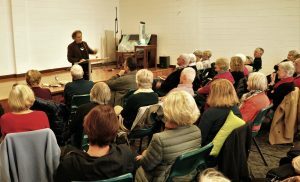 Anmaree Iaccarino presented an enlightening talk and subsequent discussion with an audience of 32 members on the extraordinary, selfless and at times unconventional contribution Mary MacKillop made to colonial Australia. She rubbed bureaucracy the wrong way, drew the ire of the bishops but with her Sisters of St Joseph never wavered in their dedication to assist those for whom life’s burden had become too great. 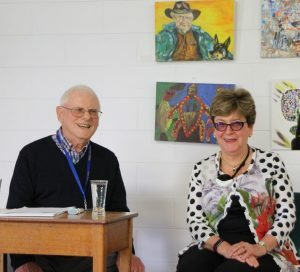 Thanks, as always, to Barry McIntosh for this wonderful photography of the event and Anmaree. 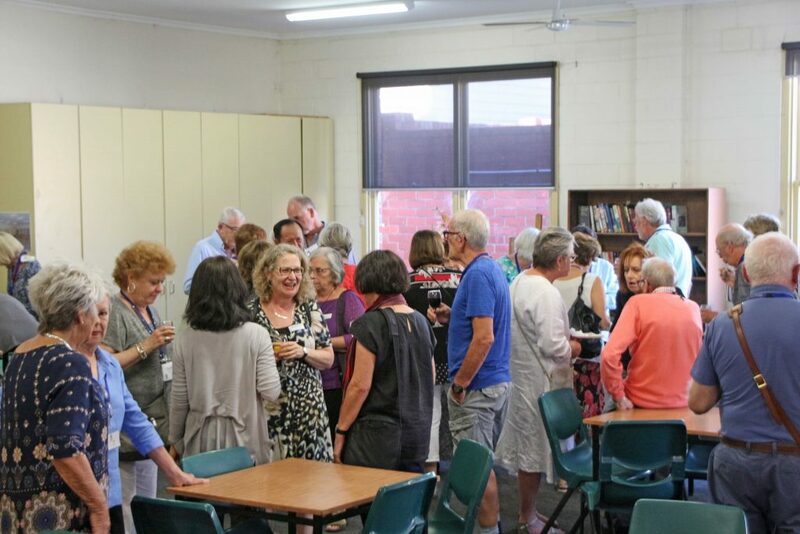 The Hall at Mary Kehoe Centre was the scene of a lively and very congenial gathering on Friday afternoon 22 March. Almost sixty people – most of them having joined U3APP within the past twelve months – came along to a welcome party for new members. Formalities were short and sweet, which allowed plenty of time for new acquaintances to be consolidated. Everyone enjoyed the tempting finger food served by Claire Keech and her willing team of helpers. 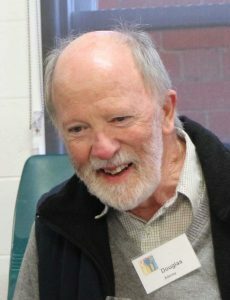 President Graham Gosling in a brief speech urged new members to consider becoming actively involved if possible – perhaps as tutors or office volunteers, or on committee – and above all to foster the spirit of community which we all enjoy. 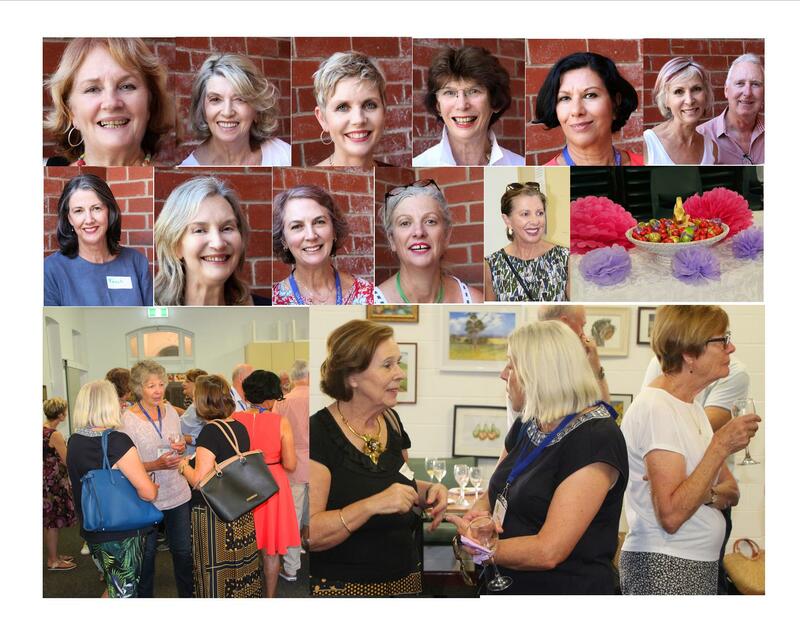 Thanks to Barry McIntoch for this wonderful collage from the Event. 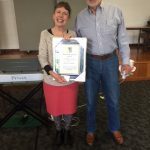 Life membership was awarded to Robyn Foy and Di Gameson. 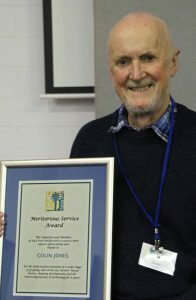 Meritorious Service Awards were presented to Claude Miller, Pat Ryan, Maurita Harney and Serena Carmel. This year’s annual U3APP Christmas Party was held immediately after the U3APP Annual General Meeting on Saturday 1 December and attended by a record number of members. 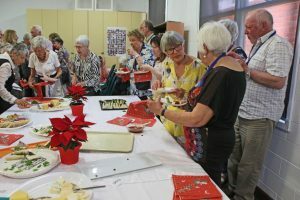 Our Christmas Party provides an excellent opportunity each year for members to gather and reflect on the past year, on friendships made and maintained, on new and continued learning experiences, on special events and seminars enjoyed and much much more. The party is also an opportunity to share plans, exchange experiences and consider course choices for the year ahead. It was particularly pleasing to see so many of our wonderful tutors in attendance and happy to give of their time. Our new Committee of Management members were also available and made themselves known to the gathering. This year the hall was full to capacity with standing room only. The new finger food catering worked very well and allowed members to mix more easily. 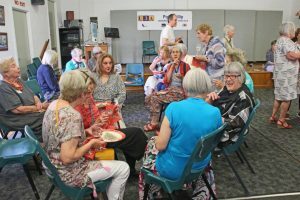 Thank you to Claire Keech for the early organisation and to Di Gameson and team for providing the “sumptuous” afternoon tea that our U3A does so well. The Events and Catering teams take this opportunity to wish all of our members and tutors the compliments of the Season. 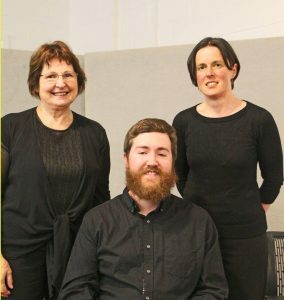 Returning from an excellent and well attended concert last year, a disappointingly small audience of 30 members enjoyed an equally pleasing 40 minutes of music by this string quartet, led by Hedy Mameghan through two pieces; the first by Haydn and the second by Beethoven. Judging by the applause at the end of each piece it was appreciated enormously by all present. 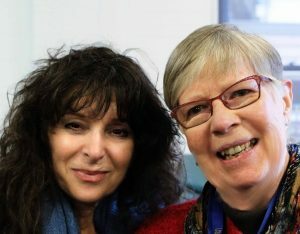 Our thanks, as always, for these photos kindly taken by our resident photographer extraordinaire, Barry (Mac) McIntosh. 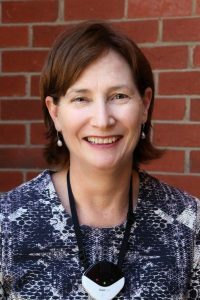 This year’s U3APP ‘s Senior Festival opened on 13thOctober with the Saturday Seminar address from the Hon Dr Kay Patterson the Age Discrimination Commissioner in the Australian Human Rights Commission. 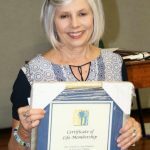 Dr Patterson spoke with passion about her long time commitment to issues affecting older members of our community and how her current role has been for her a “perfect fit”. 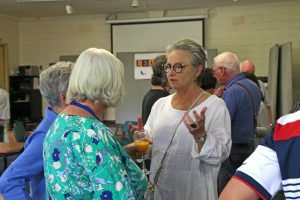 She generously gave her time and more to stay on and chat with the 70 plus members of the audience. Numbers visiting the Art Exhibition were up on last year and the newly painted hall with hanging rails was almost as picture perfect as the Artworks. 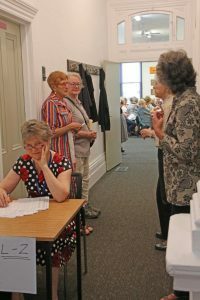 Watercolour, Artworks, Chinese Ink Painting and Life Drawing were all well represented. The group of artists who work outside of the U3APP were again represented and pleased to see their work on show. Thank you to Di Gameson, Lea Levy and Shirley Armstrong for hanging this impressive exhibition. 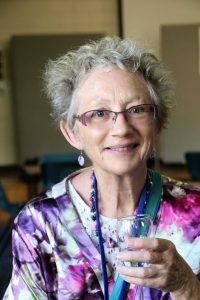 Thanks also to Diana Stock for toasting the artists and their work at the Concert. 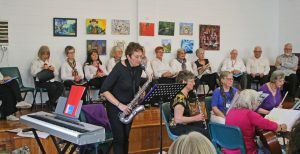 The Festival Concert on Thursday 18th was most successful with the Choir and Allsorts performing both separately and together to a full house. 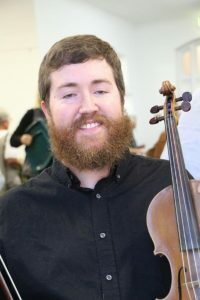 We enjoyed a selection of classical and quasi-classical music, pop, Gilbert and Sullivan, folk and traditional music. 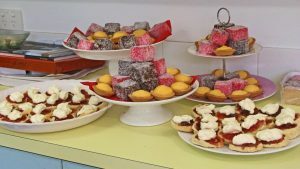 Thanks to Claire Keech and her catering team for providing the “sumptuous” afternoon tea to which we have become accustomed. You can view photos of the U3APP events below. 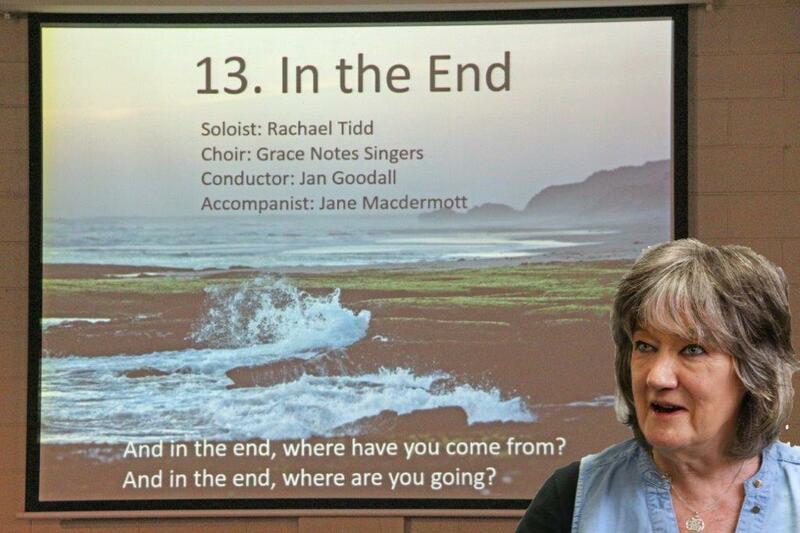 With thanks to Barry McIntosh for his usual wonderful camera work, and Mark Denniston for the final three photos at the Concert. 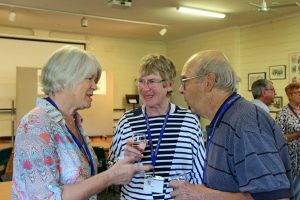 On Sunday 21 October, at the "Port Phillip Writes" event, many U3APP members were honoured with Seniors' Writing Awards. 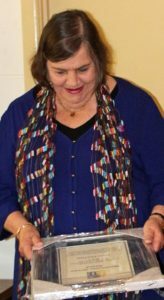 Among those whose entries were read out were Jan Harper, Lois Best, Bob Croker, Wendy Butler and Roderick Waller. 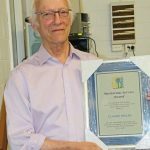 Award winners included Jan Harper, Toni Ladanyi, Peter Thorne, Lois Best and Bob Croker. Another of Lois's pieces was Highly Commended, as were pieces from Wendy Butler and Alex Njoo. Authors permitting, we will post their poems, fiction and non-fiction stories in our Writers' Showcase. 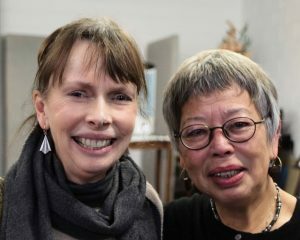 Congratulations also go to member Lesley Greagg, instigator of the writers competition and one of the judges, and to Kate Anderson, also on the judging panel. And just in case you think this gave U3APP members an advantage, entries are anonymous when they are judged. 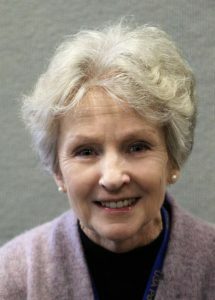 Lastly, congratulations to Pat Ryan, whose work with our two Writers Groups has inspired many of our members to enter the competition. 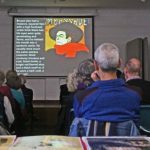 An extraordinarily large audience of 86 members, testament to the popularity of Michael’s earlier talk on Paris and Baron Haussmann, were led through a journey of the development of late 19th century art, music and dance. 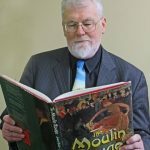 Michael contended that the frothy image of Parisian dance halls, entertainers and singers as expressed in the poster art of Toulouse-Lautrec and others was more than just the “naughty Paris” image of today. For Paris’s less affluent workers, entertainment was provided by cabarets, bistros and music halls. Bohemian lifestyles gained a different glamour. Amongst the clowns, singers and dancers was the development of a sense of modernity with serious, controversial singers such as Aristide Bruant, avant-garde writers, impressionist artists and the beginnings of modernism. All this led to Paris becoming the centre of La Belle Époque, an antidote to the memories of preceding wars and civil disruptions. 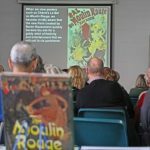 Michael populated his talk with many images of the music halls and the dancers such as La Goulue and Jane Avril, recordings of songs by Bruant and Yvette Guilbert and examples of the posters by Lautrec, the Moulin Rouge the Folies Bergere and the Can-can. 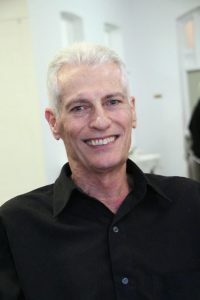 Michael has a passion for Paris and a depth of knowledge that impressed all members of his audience. 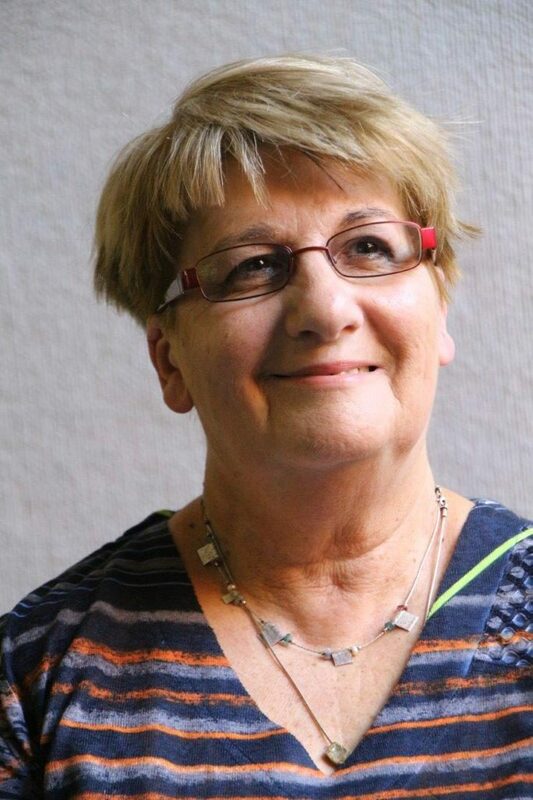 Vikki has written over a dozen Australian true-crime books, perhaps her best known is that centred on the Frankston serial killer, Paul Denyer. 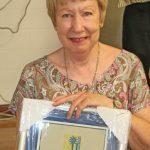 Her strong focus on the human element of crime has earned her multiple awards and accolades and it was this aspect of her work that she presented on Saturday. 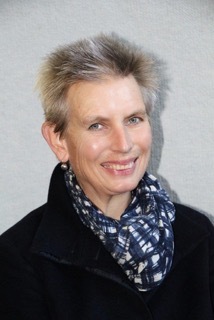 She is a highly entertaining speaker who handles her involvement with the Victorian Police with a professional standard that has given her close access to and respect from the Force. 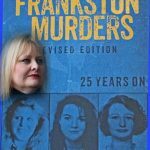 Keeping her talk around three of her books - the Frankston Murders and their perpetrator, the unsolved Phillip Island murder and a biography of the legendary “old school” copper Brian “The Skull” Murphy. 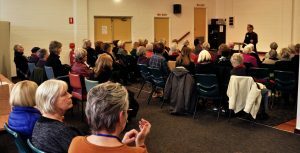 Interspersing the bloody details with her humorous anecdotes and asides, and always thought-provoking, Vikki kept the audience totally engrossed; at times shocked then laughing out loud. An hour seemed to pass in a few minutes, the 42 members giving Vikki a sincere and well-deserved applause. 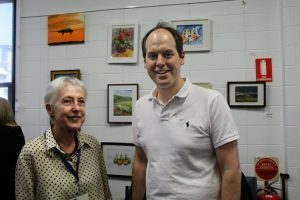 The Tutors and Volunteers Party on 25thJune, with around 80 attendees, was most successful and provided an enjoyable opportunity to reconnect with old friends and make new ones. It was pleasing to see so many of our tutors in attendance this year. Our Vice president John Craven thanked all of the tutors and volunteers for their ongoing commitment and generosity. As our membership and number of courses continue to grow so also does the percentage of members volunteering in some way. 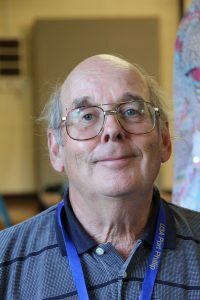 Whilst he noted that it was not possible to list individual contributors, John specifically mentioned that of Colin Jones for his many years of informing and entertaining with his “Tales of the Sea” and that of Di Gameson with her seamless catering for events over many years. 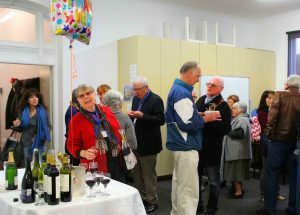 Mention also was made of the generous ongoing support given to our U3A by the City of Port Phillip. The freshly painted hall looked splendid and the balloons and glitter added to the celebratory vibe. 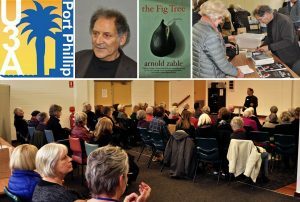 Arnold Zable, the acclaimed writer, novelist, storyteller and human rights advocate held a large Saturday afternoon audience spellbound as he let us into some of the secrets of a writer’s craft. He took us on a journey from Carlton, where he grew up, to the Greek Island of Ithaca, where his wife’s family were born. 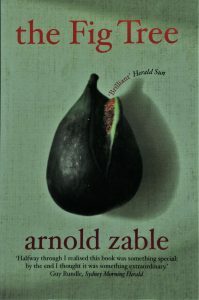 Arnold illustrated his talk by reading extracts from several of his novels including the best-selling Cafe Scheherazadeand the multi award winning Jewels and Ashes. 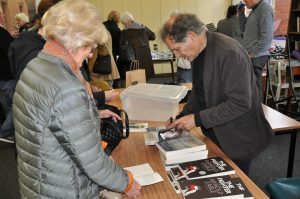 Enthusiastic members of the audience continued with questions and discussions over tea and coffee as Arnold signed copies of his novels. 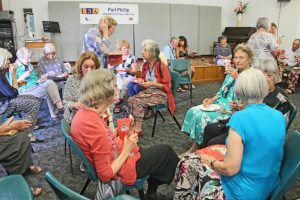 A memorable afternoon at U3A Port Phillip! We are happy that Arnold has agreed to come back next year for another Saturday Seminar. 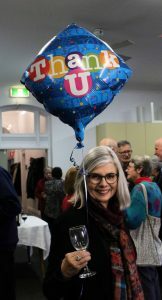 Our thanks as always to Di Gameson and her catering team for the splendid refreshments and to our IT team and Office Volunteers who ensured that all new members were personally invited. Thanks also to Barry McIntosh for these wonderful photos. A good time was had by all. 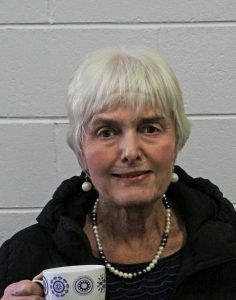 In a welcome return to The Hall at MKC Judith Buckrich spoke on the history of a street fondly remembered by everyone in the audience. Recalling their childhood and youth amongst the cake shops, chocolate shops, pubs, stores, cafes and restaurants everyone seemed to have an “I remember…” moment. Judith opened on the very early history of the area, the original inhabitants; the European “invasion”; Sir Thomas Acland owner of the schooner “The Lady of StKilda”, the former giving his name to the street, the latter to the city; and the Chinese fishermen as the Gold Rush lost its impetus. Acland Street, the first street in St Kilda together with the surrounding streets developed into a significant part of the fabric of the formulative and wealthy period of Marvellous Melbourne. 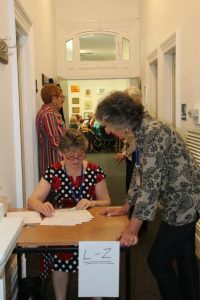 An eager collection of 40 U3A members and public continued their discussions over tea and coffee with Judith signing many copies of her book, the basis of her talk. “Civilising the City”: The modernisation of Paris by Napoleon lll and Baron Haussmann 1852-1870. 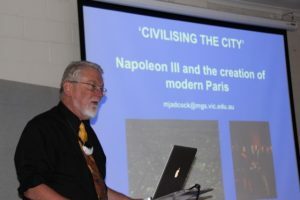 Michael Adcock is the History master at Melbourne Grammar School, a passionate Francophile and as an aside leads tours to Paris and France. In a well-documented talk with excellent pictorial support, Michael led the audience initially through the pre-reconstruction era with all its by-then-antiquated infrastructure, Napoleon lll’s appointment of Haussmann, the planning, and finally the execution of that plan. Interwoven throughout all this was the recording of these changes through the work of the emerging impressionist painters, early photographers and political caricaturists. The social impact to the benefit of the bourgeoisie and the detriment of the working class was detailed, as well as the improvement in living standards. Supplying fresh water by aqueducts, the creation of a vast sewerage system and the construction of the five great railway stations, opening up access to and from the outlying countryside, serve today’s Paris well. Overriding all this were memories of the barricading of the streets in the revolt by the working classes in 1848 that ended the reign of Louis-Phillippe and led to Napoleon lll’s election and ultimate assumption of complete power as Emperor. The creation of the elegant avenues that today are admired for their beauty in fact supported his perceived need to defend the Paris of the future by enabling the rapid movement of troops across the city along these avenues to any point of conflict. In closing Michael also included discussion of those who saw this modernisation as the destruction of a beautiful medieval city to enhance the glory of the emperor. 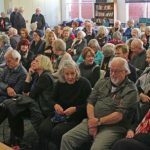 The audience of over 60 members, friends and others were united in their appreciation of Michael’s knowledge of this favourite city. An excellent attendance of 89 members braved uncertain weather to be at the 14th AGM on 2 December 2017, most staying on to the lively Christmas luncheon which followed. 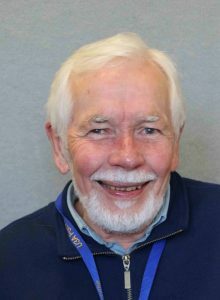 John Craven (Vice-President) chaired the meeting, and delivered the President’s Report prepared by Renate Mattiske. Click here to read the full account of another busy and successful year at U3APP. Kevin English presented his Financial Report, which you can also view here. 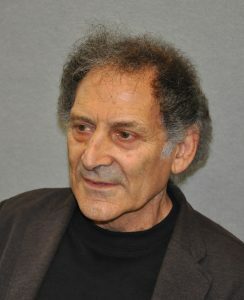 The meeting then voted in favour of a motion proposed by Geoffrey Levy, which has the effect of amending two of the Association Rules. 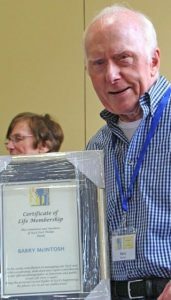 Honorary Life Memberships were awarded to Barry McIntosh and Margaret Ireland. 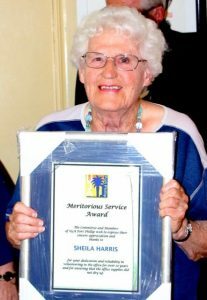 In addition, new Meritorious Service Awards were made to Sheila Harris, Julie Paxton and Henry Wenig. 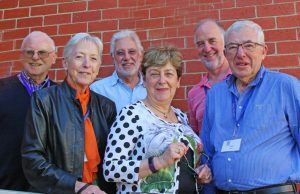 Nominations to the Committee of Management were received from Kate Anderson, Lois Best, John Craven, Mark Denniston, Richard Edwards, Karen English, Geoffrey Levy, Renate Mattiske, Ian Shaw – and all were declared elected for the coming year. 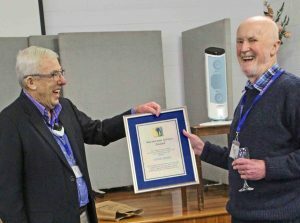 Thirty-two members and others were entertained by Barry’s recollection of a five-month long circumnavigation of Australia by Subaru Forester, highlighted by his on and off-road experiences in the far north. 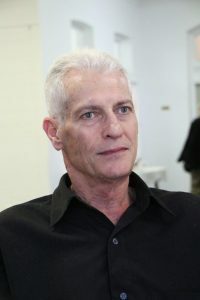 A portfolio of photographs accompanied the talk. 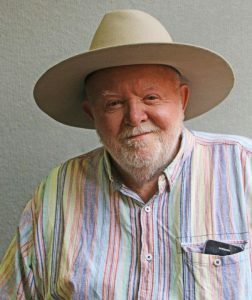 Crocodiles, flooded river crossings and bulldust galore interspersed with time spent completing the third of an Australian dynastic trilogy of adventure novels which span the First, Second and a potential Third World War. 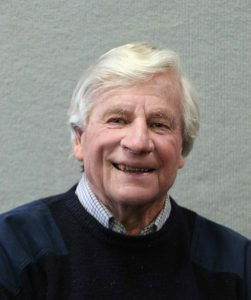 Barry’s easygoing style made for an entertaining afternoon, re-igniting this writer’s desire to see more of our country. 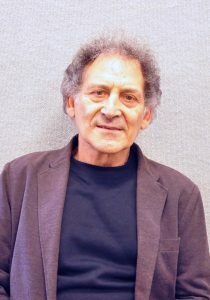 A great deal of interest was also shown in his self-published novels. 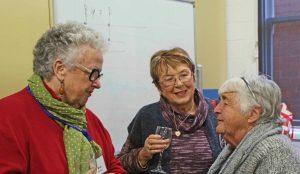 The Mary Kehoe Community Centre together with the City of Port Philip hosted a commemorative celebration honouring the memories of Mary Kehoe (BEM) and Betty Day (BEM). 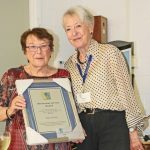 It was acknowledged that both ladies had strong, social consciences and served many years in the service of their communities of South Melbourne and St Kilda respectively. 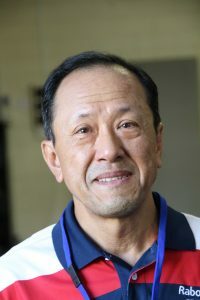 They received the British Empire Medal (Civic) in 1981. Each subsequently had buildings named in their honour. 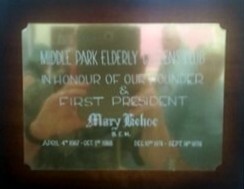 This year was the 50th Anniversary of the founding of the ‘Middle Park Elderly Citizen’s Club’, Mary Kehoe was its founder and first President. 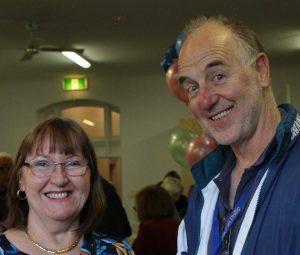 It was also the 30th Anniversary of the Betty Day Centre. 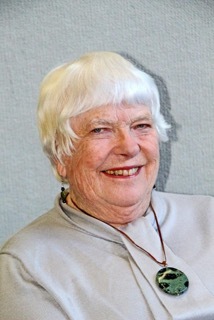 In his speech following the introduction, historian Max Nankervis stated that the building at 224 Danks Street was named in honour of Mary Kehoe and a ceremony acknowledging the naming was held at the Centre in October, 1984. 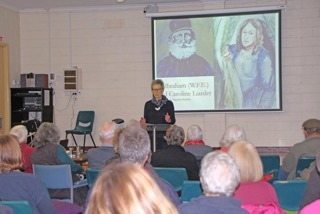 Two panels outlining a short biography of each lady and prepared by the City of Port Phillip under the supervision of Sandra Khazam, Art & Heritage Team Leader, was on display. 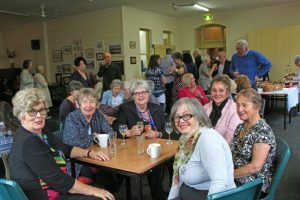 Special guests at the function included Councillor Katherine Copsey of Lake Ward, Max Nankervis, President of Middle Park History Group, Marie Kehoe a daughter of Mary Kehoe (her sister Kathleen, due to a minor accident was an apology), Joyce Lugg, President of the ‘Middle Park Senior Citizen’s Club’, John Craven, Vice President of U3APP (apology from the President Renate Mattiske) and Danielle Fraser, Coordinator Community Health & Service Planning for the City of Port Phillip. 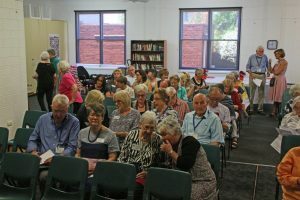 Max Nankervis gave a short biography of Mary Kehoe and her community work and Councillor Katherine Copsey made a short speech to mark the occasion. 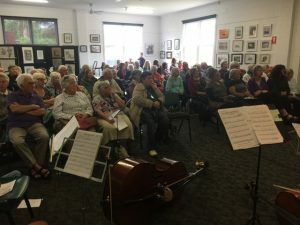 They were followed by Hedy Mameghan who introduced fellow musicians of the quintet and gave a brief introduction about the Mozart Clarinet Quintet which they performed. 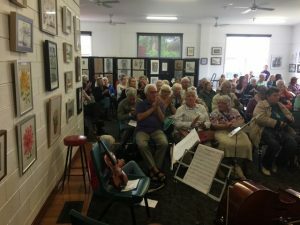 Their performance was thoroughly enjoyed by the audience. 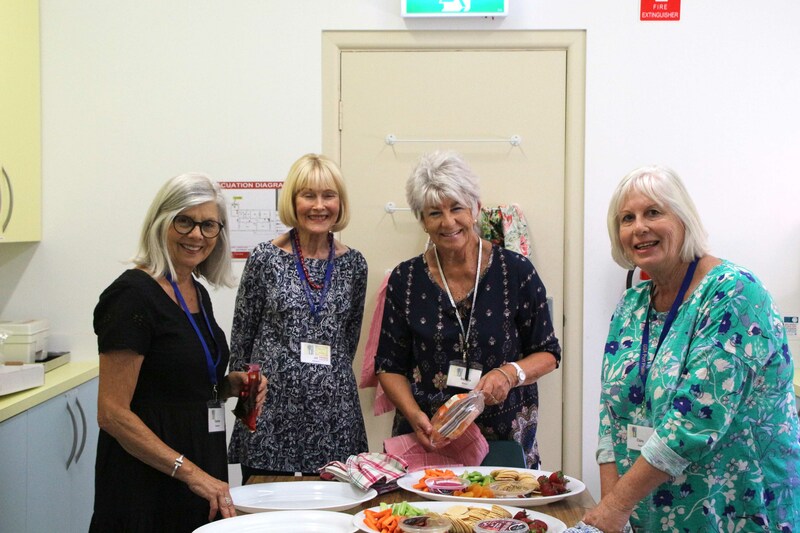 Finally afternoon tea, sponsored by the City of Port Phillip, was served by volunteers from the University of the Third Age Port Phillip. 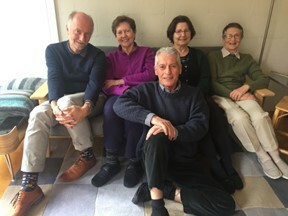 The quintet: Bill Forrest (violin 1), Loma Henry (clarinet), Moya Cummings (violin 2), Claire Sheppard (Cello) and Hedy Mameghan (viola). 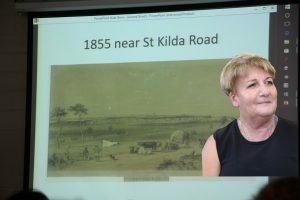 A study of the Yarra delta from the 1850s to today. 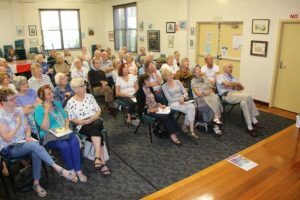 An enthusiastic audience of 50 including several visiting members of the Port Phillip Historical & Preservation Society listened to a detailed talk based on a study of the development and realignment of the Yarra, its impact on the Sandridge, Port Melbourne and Fishermans Bend precincts and on the economy of Melbourne. 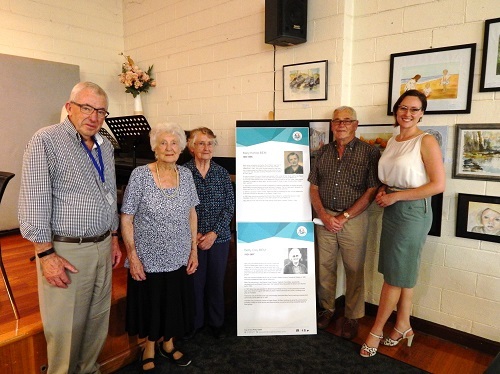 Janet Bolitho and Margaret Bride co-ordinated this project for the PMH&PS with a generous endowment from the Auty family, descendants of the original settlers of Port Melbourne, the family of WFE Liardet. The landscape of Port Melbourne has been hugely changed by human intervention since white settlement. The shape and the course of the Yarra River have been changed, the swampy terrain is now covered with roads and other hard surfaces, and there is a new landmass at the mouth of the river. Through a series of maps and aerial photographs, “Mapping Port Melbourne” graphically presented these changes that were planned, some discarded and others implemented, and their effect on Melbourne’s ports. 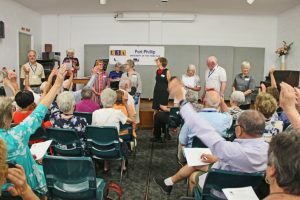 An active Q&A ensued with recollections of life in the 1930s and 40s and discussions on future developments of our ports to enable the receipt and discharge of goods into the second half of the 21st century. 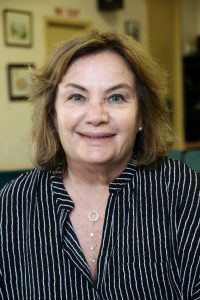 Sharon Billings is a clinician working within the Alfred Advance Care Planning department. 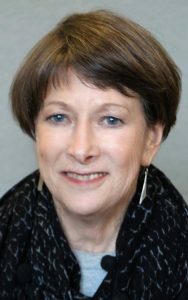 Initially Sharon discussed the importance of preparing a Will, an Enduring Power of Attorney and an Enduring Medical Power of Attorney. In each case these documents appoint people to make decisions on your behalf. 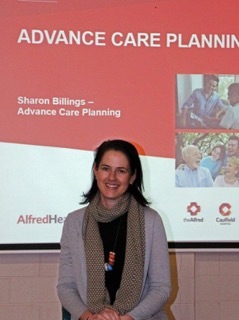 Sharon went on to explain that Advance Care Planning is a process that ensures your family and treating healthcare team understand what is important to you and how you want to be treated if you become unable to make decisions or communicate your wishes. In conclusion she stressed that it’s never too early to detail the way you want to live at the end of your life and therefore the need to communicate the kind of care you do or don’t want for yourself. 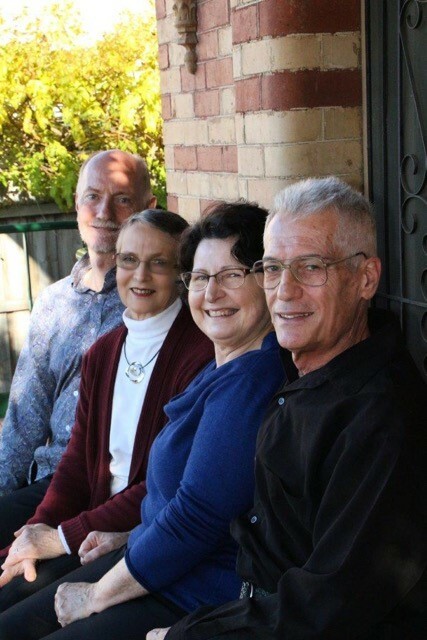 Alfred Advance Care using their wealth of experience in these matters is well placed to guide and record these decisions. A continuous stream of questions indicated a genuine interest from the almost thirty-strong audience. Mameghan on viola with Bill Forrest first violin, Moyra Cummings second violin and Claire Shephard on cello. explanation if it’s construction and significance within the development of classical music in the 18th and 19th centuries. A final encore set a “guess the composer” test for the audience, most of whom felt it was Piazzola. The correct answer was “Por un Cabeza” written in the 1930s by the Argentinian, Carlos Gardel making an interesting contrast to the preceding works. 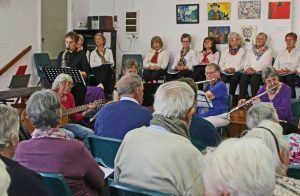 As the friends usually play once or twice a month, enjoying making music in a home environment, the opportunity to extend their talents in an open space was relished. The volume of the final applause was their reward and capped off an entertaining afternoon. 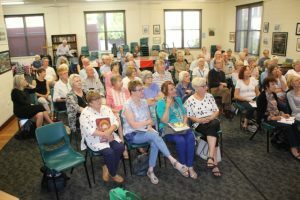 An audience of 40 members welcomed and were enthralled by the extraordinary life lived by this independent, determined woman which began in the mid-20th and continues today. 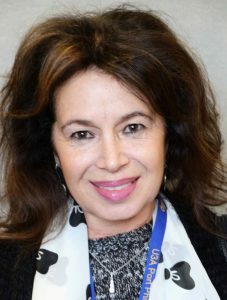 Judith Buckrich was born in Hungary of a communist father and a Jewish mother who had suffered and eventually escaped the Nazi terror of Auschwitz. 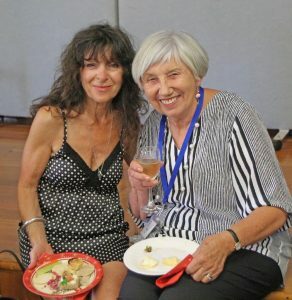 She ended up in Australia in a society that encouraged her independence and a determination to right all political wrongs, espouse women’s liberation, marry, have a child then continue at the same time to write plays, act on stage and latterly to write books. At last count 13 published and the 14th, a history of Acland Street about to be released. As some one said to me afterwards – “..she made me feel very inadequate. I am in awe of her energy”. 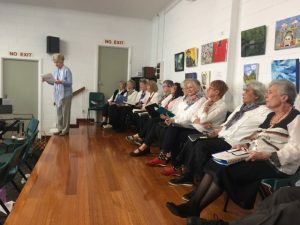 Lorraine Milne took an audience of 30 members on a journey of the development of Australia through the eyes of ordinary and outstanding women in a cycle of 13 songs, the lyrics written by Lorraine and supported by her own compositions. 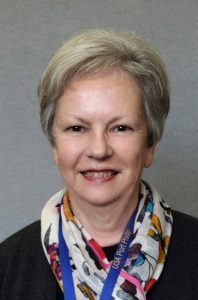 Beginning with the First Fleet, through wars, emancipation, Liberation and political achievements she wove a pattern of independence and resilience that resonates today with the freedoms available to all Australians but still with all the indignities and restrictions that face our women.